The MCP73826 is a battery charger controller for single cell Li-Ion batteries. Using an external PMOS transistor, safe and fast charging of a single Li-Ion cell is accomplished. An overall system accuracy of 1% ensures that the cell capacity is fully utilized without cycle life degradation. An external resistor can set charge current. 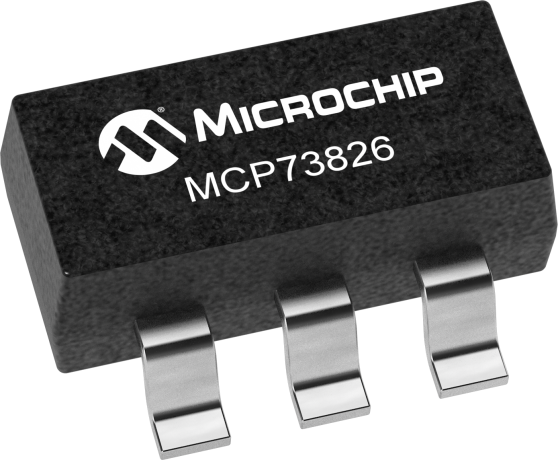 The MCP73826 operates with an input voltage range from 4.5V to 5.5V. It is specified over the ambient operating temperature range of -20°C to +85°C and is available in a small 6-Pin SOT-23A.